We live in an instant gratification generation. We want what we want and we want it now! It’s normal to give in to our cravings. I love ice cream, and if it’s in the freezer, I know that it’s for dessert, but I want it and I want it now! And so, I eat it. I do the same with cookies and pie. I lose control with sweets. How normal is it for a boyfriend and a girlfriend to be doing things that the bible says are for marriage? But they don’t care, they want it and they want it now! How normal is it to want something we can’t afford, but we want it and we want it now so we charge it!? A lack of self-control gets dangerous when we are willing to trade something great in our future for something easy now. There’s a story that illustrates this better than any other in the Bible, about two brothers, brothers Esau and Jacob. Esau was the older brother and he was a man’s man. Jacob was the younger brother and he was a momma’s boy. In Biblical times the oldest son would have what was known as the birthright. Since he was born first, he had a tremendous advantage. Upon his father’s death, Esau would get two thirds of the inheritance. He would rise into the position of power, like the executor of the estate. Let’s stop here. Do you think he was about to die? No, he could have lived off of his own fat for at least three hours, or three days, he wasn’t about to die! But at the moment, he feels like he is. Then Esau, the older brother, does something that we would all say is so foolish. How in the world could anyone be so short-sided, so foolish? He traded his birthright. The blessing, position, prestige and wealth: an amazing future for stupid bowl of stew? Sadly, its normal for people to do this all the time. Every day, people are silly enough to trade a great future for an immediate desire. I’m sure you know someone who derailed their life with a desire that went unchecked and unmanaged. What happened? They locked in on this desire, and they forgot about everything else that mattered, because at that moment the bowl of stew was so important. It could be a young girl who just feels like, “The clothes I get, they make me happy.” She gets a belt to go with the shoes that matches the hair clip that she got and then she buys more and more and sinks into debt and wakes up one day in $37,000 of credit card debt. And she wonders, “How in the world did I get here?” One bowl of stew at a time. It could be the man that really loves his wife, loves his children, loves his God, but he meets someone at work, they flirt, they have lunch and he lusts for her. In that moment, he focuses in on the stew and he forgets about his love for his wife, kids and his God. He trades the ultimate: family, love, trust and commitment, for the immediate: an affair, just a silly as a bowl of stew. It could be the young girl, she really wants a godly husband and she really wants to be loved and she wants to love. She meets a guy, and he’s a pretty good guy, and she says, “I love you” to him and he says “I love you” to her and then he says, “but if you really love me you would.” And she doesn’t want to because she wants to try to please God, but she really wants to be loved and so she does. She trades the ultimate: virginity, purity, a gift that can only be given once for the immediate, a boyfriend’s supposed love. He dumps her and she feels cheap and used because she traded something that mattered for a silly bowl of stew. It could be a man that really loves his family. He wants to be a good dad and says, “I’m going to love my family by being a great provider.” So, what do he do? Works late, overtime, weekends and says, “I’m going to give them more than I had!” He works hard rises on the ladder, makes more to get his family a bigger house and nicer cars. And then, one day he wakes up and his children are 24 and 27 and he realizes he doesn’t know his kids and they don’t know him! What happened? He traded the ultimate, family and relationships for accomplishments and stuff! A silly bowl of stew. Who would be so dumb to trade their birthright for a bowl of stew? You could. That’s what I want to ask you, and I pray that you would be honest enough to be truthful and search your heart. What’s your bowl of stew? What is your desire or desires, that if left unchecked and unmanaged out from the direction of the Holy Spirit, could take you into a place where you literally short circuit God’s long term plan for something as simple as a bowl of stew. It’s normal to want what we want now not later, and we’re willing to trade the ultimate for the immediate. So I say, let the Holy Spirit guide your lives. Then you won’t be doing what your sinful nature craves. 17 The sinful nature wants to do evil, which is just the opposite of what the Spirit wants. And the Spirit gives us desires that are the opposite of what the sinful nature desires. The sinful nature wants to do evil, which is just the opposite of what the Spirit wants. And what does the Spirit do? He gives us desires that are the opposite of what the sinful nature desires. If your seeking nothing but your silly bowl of stew. Throw that thing down, call it what it is, it’s a bowl of stew. Seek God, open up His word, become passionate about Him, about His kingdom, and He will change you and mold your heart and give you His desires. His desires become your desires because you desire what He desires, He will give you the desires of your heart. You will have less desire for only the temporary things of this world, because He’s transforming you. 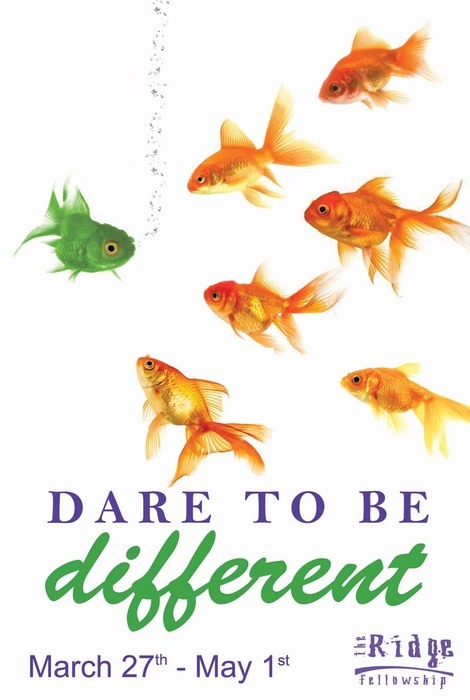 You’ll be different! You’re not living for what everyone else lives. This is so powerful. When the Holy Spirit changes your heart, rather than wanting more things of this world you start desiring to be generous and to forgive, and to bless people, love people and to go the extra mile, to be kind, to worship God, and to do all of these things that normal people don’t do, because God is changing your desires. The challenge is that as you grow closer to God; your stupid bowl of stew will pop up somewhere and if you’re not prepared, you may compromise all of the blessings of what God wants to give you in the future, for a temporary meaningless bowl of stew, which is exactly what Esau did. Think about this, what have the scriptures and the people of God been saying for thousands of years? “We serve the God of Abraham, Issac, and Jacob.” Who was Jacob? The younger brother. Who should it have been? Who would it have been? Who could it have been if he hadn’t been so short-sided, that he traded his birthright for a bowl of stew? If he had of done what’s right, we would have said to this day, “We serve the God of Abraham, Issac, and Esau.” But, because of unchecked desires, Esau traded the ultimate for a stupid bowl of stew. Who would do that? I could, you could. I want to be different and have self-control that’s different. I’m going to follow Jesus, seek Him, and live for a greater future. I hope you will join me. This entry was posted in Dare to Be Different and tagged Esau, Galatians 5:22, Holy Spirit, Jacob, lust, self control, Temptation. Bookmark the permalink.